Microsoft Office 365 is great and with that being the case, there will always be imitators. It didn’t take very long for imitators to jump in the fold, and one of the more well-known ones is Open 365. As you can clearly tell, this program is from the open source community. While we do not see it becoming a huge competitor to Office 365 or Google Docs, it should allow Linux users to have a real choice, especially for those who prefer to use open software. The service, from what we have come to understand, gives users 20GB of free storage to keep their files. Furthermore, all files can be synchronized across multiple devices at the same time. At the moment, Open 365 is in beta, but its developers are making big plans nonetheless. One plan is to allow users to host their own web servers to store their files. This is something not offered by either Microsoft or Google and honestly, we wish this were the case. The main reason behind using cloud storage is to gain access to our files anywhere from any device. 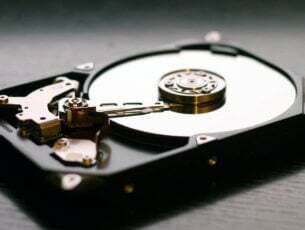 However, not everyone is keen on storing their files on servers that could permanently go offline. The developer even has the right to remove your content, so what the Open 365 guys are doing is a great idea from our point of view. Open 365 is also available for Windows, so go ahead of check it out via its official website to see if it is up to your standards.